Justin Albright works in the Columbus office and has been with Rauser and Associates since 2015. Justin has helped clients through both the Chapter 7 fresh start and Chapter 13 consolidation bankruptcy process. 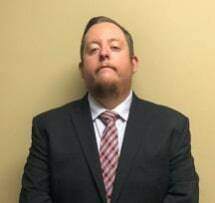 He works with residents of Columbus and its surroundings areas as well as residents of Dayton and Springfield to obtain a discharge of debt through a Chapter 7 bankruptcy with the added benefit of keeping their vehicle. He also helps clients utilize the Chapter 13 process to stop foreclosure sales, repossession of vehicles, wage garnishments. Justin is licensed in the State of Ohio as well as the Southern District of Ohio for Federal Court.